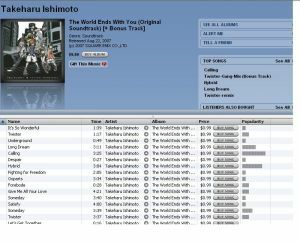 Awhile back, we told you guys that the soundtrack for The World Ends With You would be hitting iTunes. Reader Deadmen was nice enough to let us know that the soundtrack is now live, ready for your purchasing. There are 32 tracks altogether. 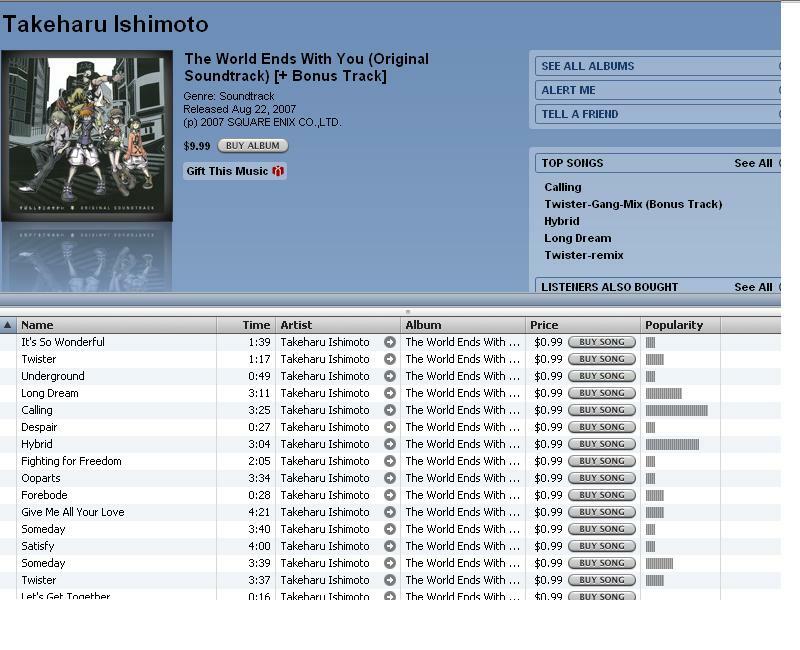 You can either buy single tracks for $1 a pop, or get the entire soundtrack for $10. Not a bad deal at all. I might have to go pick up this album now!